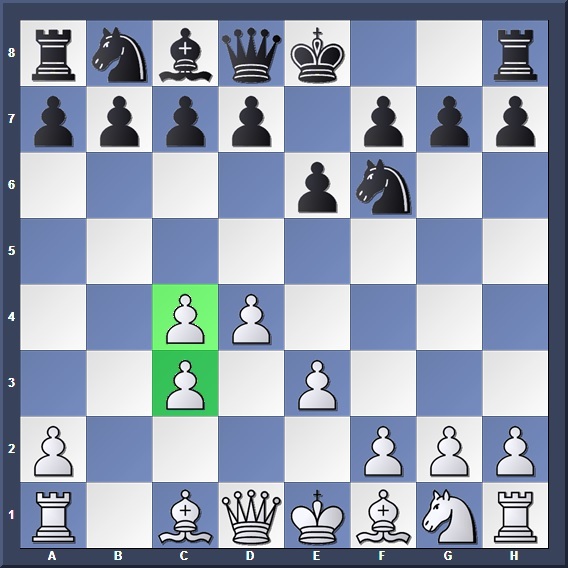 In many games a piece protected by a pawn is frequently exchanged, resulting in two pawns residing on the same file. This phenomenon is what we know as doubled pawns. Early in their chess education, every beginner is taught that doubled pawns are weak. They are unable to protect each other, and cannot advance as quickly as other pawns. But like isolated pawns, doubled pawns are misunderstood as being bad all the time. If handled wisely, they could turn out to offer certain advantages. Understanding when doubled pawns are good or bad is an important factor in chess strategy. 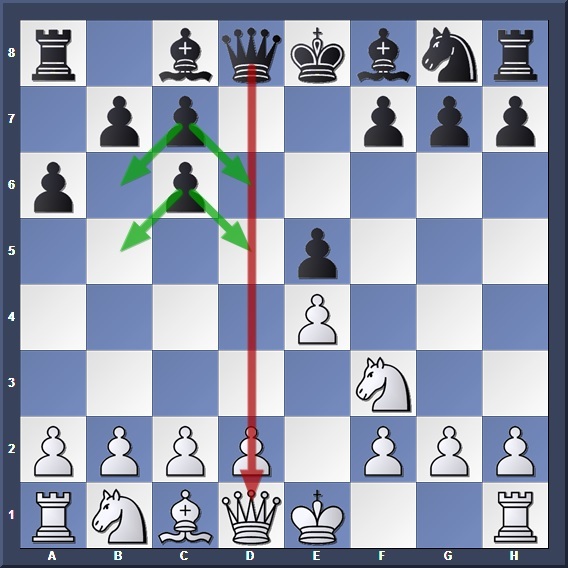 Many openings, such as the Ruy Lopez or Nimzo-Indian, feature one side accepting doubled pawns in exchange for some other advantage. In this series, we will attempt to uncover the story behind doubled pawns, and how to play with or against them. Limited mobility. 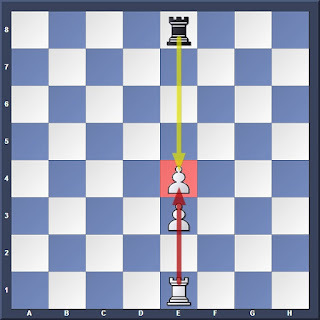 Since the second pawn cannot advance unless the first pawn moves, doubled pawns cannot advance quickly. Vulnerable. The front pawn is prone to attack, as it cannot be defended from behind by a rook. This problem is further aggravated in the case of isolated doubled pawns, as we see in Position 2. Weak squares. The square in front of the doubled pawns is usually weak and easily occupied by an enemy piece. While advancing an adjacent pawn helps protect the square, it opens up other weak squares in the vicinity. Opening of files. When doubled pawns are formed an adjacent file has to be opened, and this can be exploited by your rooks. Defense. 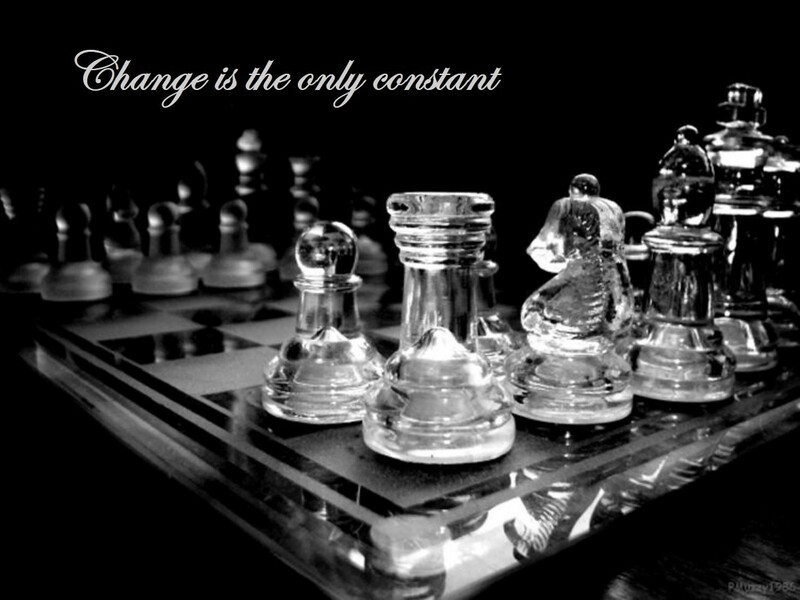 By far the greatest strength of doubled pawns lies in defense, as they control more squares than regular pawn chains. We investigate this in closer detail in subsequent articles. This can be seen in Position 3, a typical position from the Ruy Lopez where White damages Black's pawn structure by capturing on c6. However, Black's doubled pawns offer some perks of their own: Opening up the d-file, and controlling additional squares on the queenside. So long as the pawns don't advance, Black's queenside remains solid. In Part 1, we will focus on Isolated Doubled Pawns. Isolated doubled pawns are almost always weak, as they combine weaknesses of both isolated and doubled pawns (well, duh). And unlike normal isolated pawns which can still be pushed to create passed pawns, it is not so easy with isolated doubled pawns due to their lack of mobility. To deal with these structures, we treat them as large versions of isolated pawns. Blockade the front pawn, before trading pieces to make the weakness more significant. Rooks are particularly deadly against them, as their friendly rooks are unable to provide effective support from behind (since the rear pawn gets in the way, and you can't exactly use friendly fire to get rid of him). It won't be so straightforward when it comes to non-isolated doubled pawns, though! That will be covered in Part 2.